If your living room is covered in wall-to-wall carpet, it might be time for an upgrade. According to HGTV, carpeting is popular in bedrooms because it offers a cozy feel in a low-traffic space, but it's not an ideal choice for living rooms. "I generally never use wall-to-wall carpet in high-traffic or public areas unless my client specifically asks for it," said designer Rachel Oliver in an HGTV article. 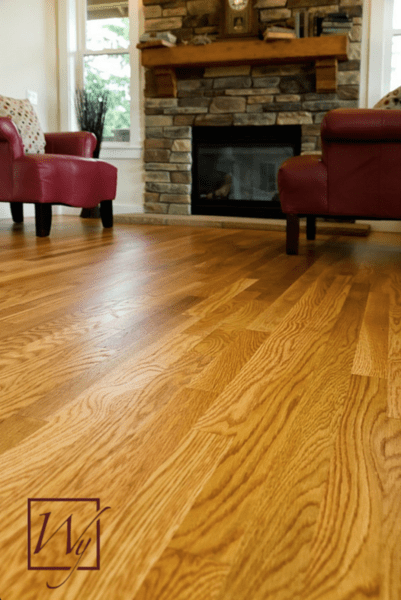 "It is usually less expensive than hardwoods and many styles are easy to keep clean, but it can soak up odors and liquids in high-traffic areas and may stain." Instead, living rooms should feature a more forgiving substrate, such as hardwood, tile or stone. When upgrading from carpet to one of these substrates, homeowners have yet another chance to upgrade. Because you've already committed to ripping up the carpet, now is the perfect time to consider in-floor radiant heating. In this instance (see floor plan), the living room boasts nearly 265 square feet of hardwood, tile or stone with TempZone™ in-floor heating underneath. A 3- by 70-foot TempZone™ Flex Roll covers 210 square feet of the room and costs less than $2,000. The heating system plus a SmartStat™ thermostat comes out to $1,849, which is likely less than it cost to purchase your living room furniture. If the order is itemized, the thermostat costs $169 and the floor-heating roll costs $1,680. That equals out to just $8 a square foot (excluding the price of the thermostat)! However, if the homeowner is on a tight budget and needs to save even more money, they could instead purchase TempZone™ Cables, which would cost approximately $1,165 for this living room. These cables are more labor-intensive to install, but they are a great, inexpensive option for homeowners on a budget. Installing TempZone™ Cables in this floor plan would result in a price of approximately $5.50 a square foot (excluding the price of the thermostat). However, it should be noted that TempZone™ Cables have a lower wattage (12 watts per square foot when spaced 3 inches apart) compared with TempZone™ Flex Rolls (15 watts per square foot). To determine if TempZone™ Cables can act as a primary heat source for a room, homeowners should use the WarmlyYours Heat Loss Calculator. Homeowners also have the ability to find out how much it will cost to operate their system ahead of time by using WarmlyYours' Energy Use Calculator. In this case, it would cost approximately $1.10 a day* to heat this 210-square-foot living room with a TempZone™ Flex Roll. Imagine the pleasure of walking into your updated living room and feeling the warmth — all without breaking the bank! If you're interested in adding radiant heated floors to your living room — or any other room in your home — get started with a free quote on www.warmlyyours.com. 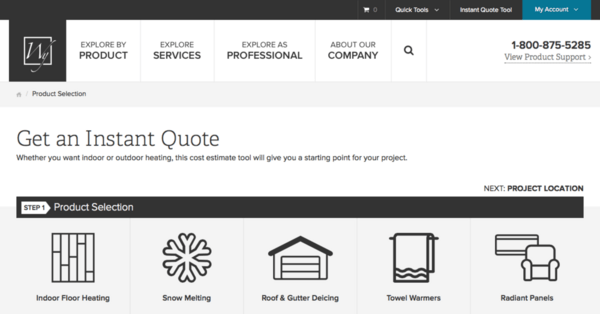 By sending us a floor plan online, the WarmlyYours team can offer you a customized installation plan with a quote. In no time, you'll know exactly how much it will cost to add the luxury of heated floors to your room. 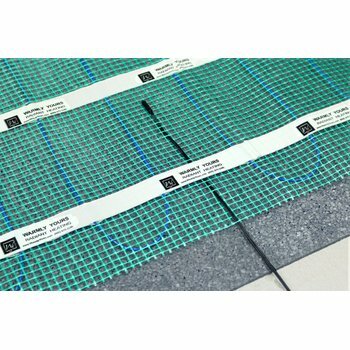 Also, if you plan to install the floor-heating system yourself, our customized floor plans will show you where to begin and end your project and also how to cut and turn the mat along the way. If you have any questions during installation, our technical support team is available to help you 24/7 at 800-875-5285. 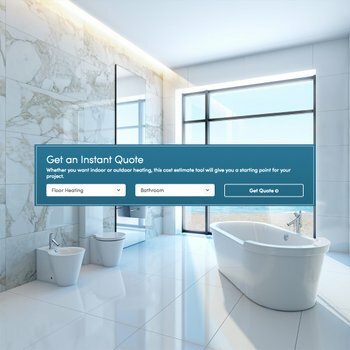 If you'd like to get a quote before you receive a customized installation plan, you can visit our "Get A Quote" tool online. This tool will instantly show you which products you will need to purchase and how much they cost. *Based on the national average of 10 cents per kilowatt-hour for 8.5 hours a day (the default setting on the thermostat).